If you advertise such products or services and your ads do not contradict the requirements, set up your ad impressions in ad networks. 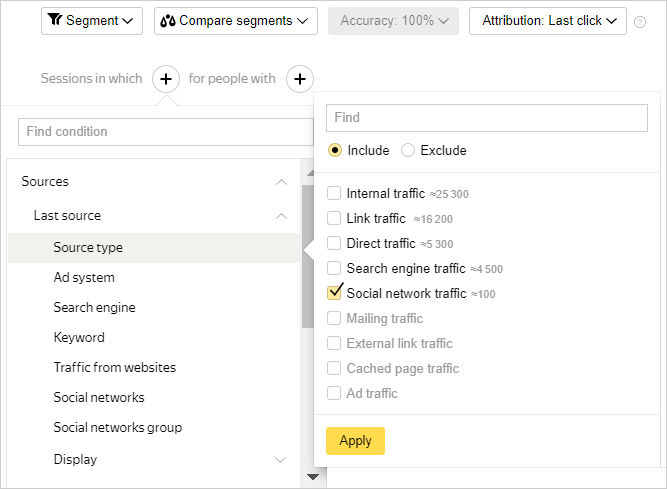 To get the maximum conversions out of your impressions, configure goals in Yandex.Metrica and use them as priority goals in your campaign settings. The system will select placement sites so that the click on your ad results in completion of your selected goal. Use Yandex.Audience segments to select users interested in your ad. For example, you can configure a segment based on user interests or location data, or use your customer database. Read more about configuring segments in Yandex.Audience help. Configure retargeting lists to re-engage users who visited your site or discount page, but did not place an order. 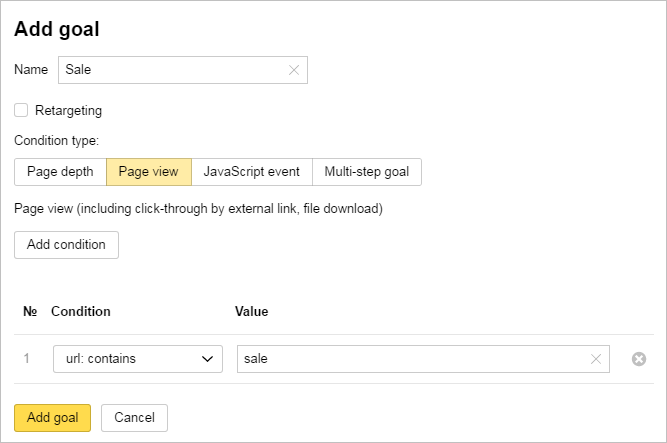 For example, create a goal or segment in Yandex.Metrica. On the My campaigns → Retargeting & Audiences page, add the created goal or segment as retargeting criteria. Learn more. Medical subjects not included in the lists above belong to the sensitive category and are not placed in ad networks based on behavioral targeting and retargeting lists. We reserve the right to restrict impressions in ad networks if the set of advertising materials gives reason to consider the advertising subject sensitive.